Number of PR agencies: The Brazilian Association of Communications Agencies (ABRACOM) has 345 members, which it believes makes up 90 per cent of PR business in Brazil. In total, it estimates there are 1,100 agencies. Revenues of local agencies reached: US$1bn (£616.6m) last year, according to ABRACOM. ABRACOM's president Ciro Dias Reis says the PR market grew by 20 per cent in 2009, a further 20 per cent in 2010 and he estimates it will grow 15 per cent in 2011. Private sector is responsible for 80 per cent of PR business. 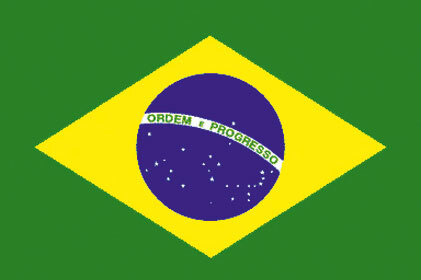 Brazil will host the 2014 FIFA World Cup and the 2016 Olympics. Key PR opportunities lie in energy, infrastructure and agribusiness, automobile, financial, IT and consumer retail. Challenges: The main problem is a familiar one - finding good talent. 'Our greatest challenge in the BRIC countries is the same as in the rest of the world - finding enough talented, experienced PR professionals,' says Fleishman-Hillard's Senay. Edelman's global vice chairman and chief content officer Richard Sambrook identifies another challenge as 'the perception of PR as purely media relations, a low-paid commodity', while Hill &Knowlton's Costerton says agencies should watch out for sustainability and CSR issues.